Welcome shoppers! As winter winds down, your pals at Stapley-Hildebrand are busy keeping the shelves, bins and coolers well-stocked with innovative packages and eye-popping design that’s sure to satisfy even the most discerning customer. Stop in and check out our latest and greatest – we’re open 24/7! As we approach our company’s 15-year anniversary, we find ourselves stopping to reflect on how much we’ve grown. Professionally, we’ve partnered with many great clients, created literally billions of labels and won a few awards along the way. Personally, we’ve gathered an amazing group of men and women who have all contributed to our success. They’ve done that by being open-minded, focused, and forever curious. With all that in mind, we welcome our newest little partner, Layla, the newborn daughter of Senior Designer, Konrad Tse. Layla is the 9th “junior addition” to our creative family and is a perfect reminder of what has always been important to us – possibilities. 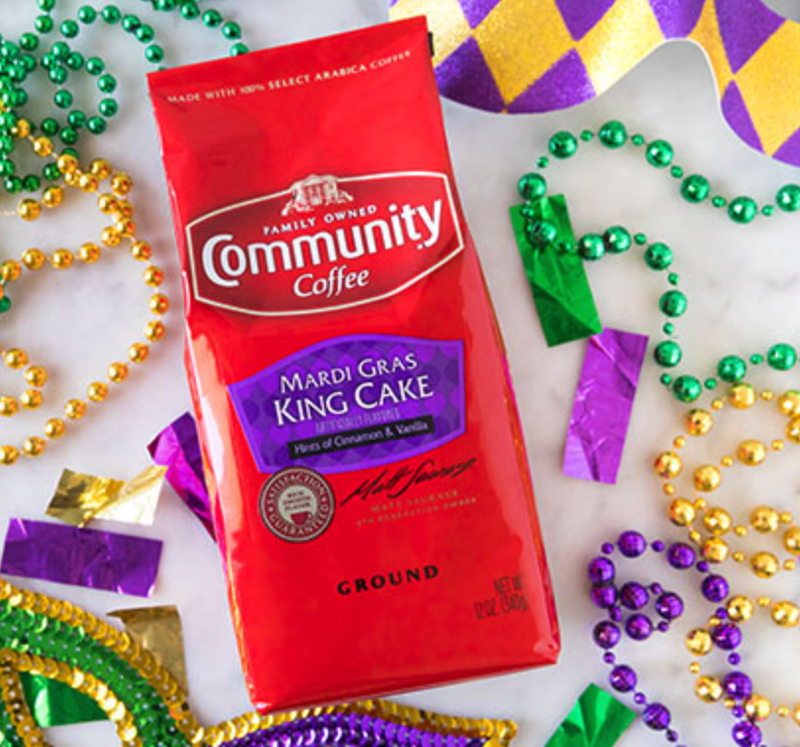 We recently had the pleasure of creating a celebratory Mardi Gras King Cake design extension for Community Coffee, a truly iconic 100-year-old Louisiana coffee brand. Alas, unlike the traditional cake, it doesn’t come with a porcelain baby but the temptingly sweet and spicy blend will make anybody feel like royalty! Pizza lovers and book lovers rejoice! 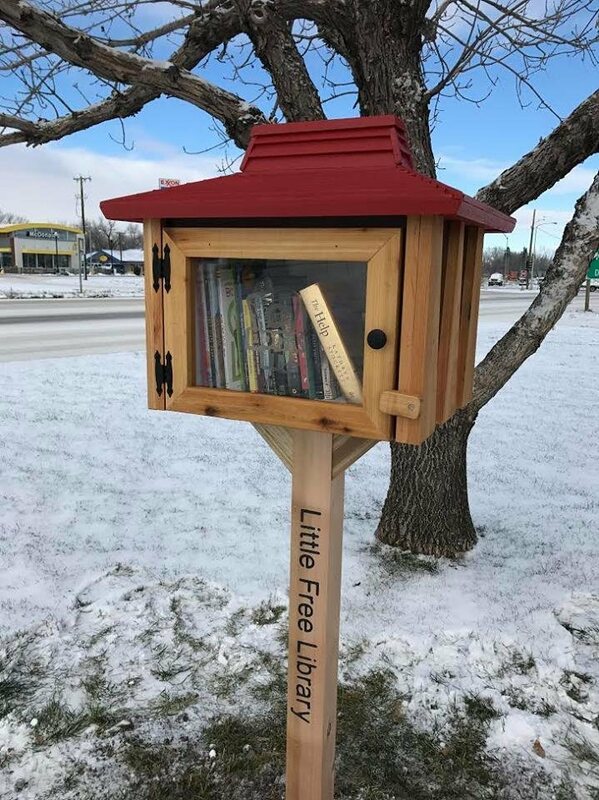 A Pizza Hut franchisee in Wichita, KS found a great opportunity to help out local communities by providing books during the hours that libraries are closed. They pitched the idea of constructing book exchange boxes, complete with iconic red roofs to their parent brand Yum! Brands, Inc. and secured $10,000 to complete the project. The cleverest innovation is often the simplest. Think: slicing pickles the long way to create Vlasic Stackers. The folks at Cleancult applied that thinking to their new packaging by putting their cleaning products into tried and true milk carton packaging. The move cuts out the plastic, makes shipping more efficient, and is compostable. When is za’atar NOT za’atar? Well, when it’s full of thyme. Unlike the many of the thyme-based products labeled as za’atar that are riding the middle eastern flavors trend, true za’atar is an herb all by itself. Often used dried in an herb mix of sumac, marjoram, sesame seed and salt, it’s delicious on just about everything. See the recipe below for an easy favorite. 2 tsp za’atar herb mix (equal amounts of dried za’atar, oregano, and marjoram. Add double the amount of sumac, and half the amount of toasted sesame seeds, coarse salt to taste, stir. Preheat the oven to 400ºF. Place the potatoes and onions onto a baking tray. Drizzle with olive oil, and sprinkle with za’atar and salt. Toss. Place into the oven and bake for 40 minutes, flipping the potatoes halfway. In a small bowl, combine the yogurt, garlic, za’atar, salt, and onions. Drizzle with olive oil. Once cooked, remove the potatoes from the oven and serve warm with the dipping sauce. …we all scream for Veggie Ice Cream? Building on the success of coconut and soy based non-dairy products, a number of ice cream companies are now tapping into the healthy halo of veggies and are offering flavors like Avocado, Green Pea, and yes, even Spinach. 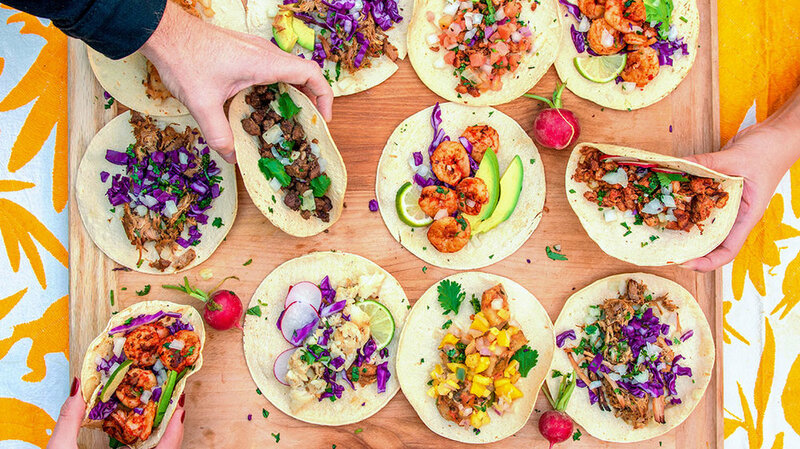 Product Feature: The New Taco Tuesday! Debuting at this year’s Winter Fancy Food Show, Caulipower’s cauliflower tortillas are the latest twist in a wide range of cauliflower-based products that attempt to create better for you comfort foods. Now playing in the studio: David Byrne’s Grown Backwards Vinyl re-issue which was originally released the week we opened our studio!